Entries now open for the Family Law Awards 2019. View a full list of the categories here and enter before midnight Friday 7 June. 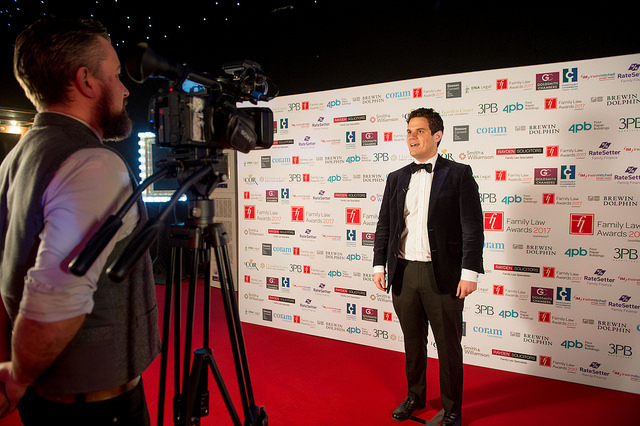 The Family Law Awards offer unique branding and sponsorship opportunities, including extensive pre- and post-event exposure through advertising and editorial coverage. The Family Law Awards 2019 were held on Wednesday 27 November at The Ballroom South Bank, one of the most exclusive event venues in London, to celebrate excellence in family law. Once again, we will welcome entries in both national and regional categories. For further details see the regional awards page. This year we have introduced 2 new categories; Family Law Dispute Resolution Team of the Year and Family Law Innovation of the Year. In keeping with tradition, three of this year’s Awards will be voted for by the family law community. A shortlist of four entrants will be selected by the judges from the entries received and voting will open here in September. Over the past 9 years, the Family Law Awards have firmly established themselves as a highly prestigious event, celebrating the success and achievements of family lawyers and the vital contribution that they make to society. Last year’s ceremony was attended by over 500 guests drawn from across the family law community, including solicitors’ practices, the Bar and the public sector. The Ballroom South Bank is a stunning marquee structure that is situated behind the National Theatre, an ideal location for high-profile awards ceremonies. It is one of the most exclusive event venues in London, the unique and innovative venue will make this year’s ceremony unparalleled in grandeur and excitement. This year’s black tie event will feature a sparkling drinks reception, three-course meal and plenty of time for networking with the best of the industry. An after-party will ensure that this year’s celebrations continue into the night.